Stanley Marecki of Lodi, entered eternal life at his new home in Congers, NY, on August 6th. He was 69 years old. Stanley was born in Jersey City on January 14th, 1949, to Stanley and Loretta (Maczuga) Marecki. He was raised in Bayonne and graduated from Bayonne High School in 1966 and Miami Dade Junior College in 1968. On August 14, 1971, Stanley married the love of his life, Cathy Oczkowski. He worked for Valley National Bank for over 18 years, retiring in 2014. Stanley was an avid Atlanta Braves baseball fan, who loved music and dancing. He particularly enjoyed Motown and classic doo-wop along with P!nk and Pitbull. On a typical morning, you could hear him singing the latter in the shower at top volume. Stanley is survived by his beloved wife Cathy; his devoted children, Eric and Dawn; his daughter-in-law Cristina, and son-in-law Dave Soto. He is also survived by his cherished grandchildren Lyla and Juliette; and his dear sister Eleanor Karwowski. Stanley enjoyed spending time with his grand fur-babies Paco and Tito, especially during his illness. Viewing will be from 2:00 – 4:00 pm and 7:00 – 9:00 pm on Thursday, August 9th at Warner-Wozniak Funeral Service, 80 Midland Ave. in Wallington, NJ. A Funeral Mass will be celebrated at 11:00 am on Friday, August 10th at St. Francis deSales Church at 125 Union St in Lodi. Stanley will be laid to rest at St. Mary's Cemetery in Saddle Brook. In lieu of flowers, the family has requested contributions to the John Theurer Cancer Center, Hackensack University Medical Center Foundation,160 Essex Street, Suite 101, Lodi, NJ 07644; or Memorial Sloan Kettering Cancer Center, 1275 York Avenue, New York, NY 10065. 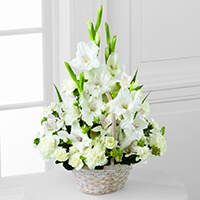 To send flowers to the family of Stanley J Marecki, please visit our Heartfelt Sympathies Store. My deepest condolences at this most difficult time. I have the sweetest memories of Stash and the family. Love to you all. To The Marecki Family, Our heartfelt condolences to you and your family. My deepest condolences to the Marecki family. He will always be remembered for his big heart & sense of humor. May he rest in peace. To The Marecki Family, You are in our thoughts and prayers, sending our deepest sympathies. Thinking of you all. Stanley was a truly great guy. He will be missed. 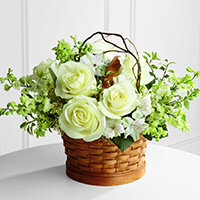 Our love and condolences to Cathy, Eric and Dawn. May the memories you have of Stanley made over the years help you through this difficult time. My Condolences to the Family. I played Baseball in High School With Stan.Great Guy,May he Rest in Peace.